It’s week one of the 2 in 1 Showcase Halloween Spooktacular, and we’re kicking it off in style! 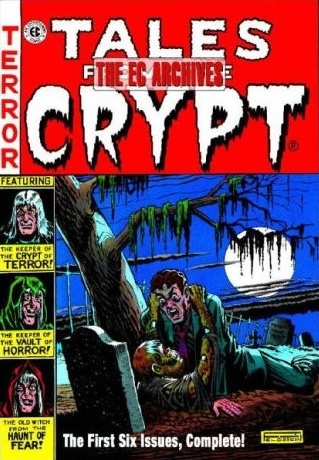 Blake and Chase talk about the history of the greatest horror comic publisher of all time, the legacy it left behind, the artists it inspired, the groundbreaking Tales From the Crypt HBO TV series, the sublime archive editions from Gemstone and the new Crypt comics from Papercutz. In the picks this week, Blake goes with a Halloween one-shot — Donald Duck and the Case of the Missing Mummy — while Chase gives his props to Dynamite‘s new anthology Savage Tales. This entry was posted in Showcase Podcast and tagged Donald Duck, EC Comics, Halloween, HBO, Savage Tales, Tales From the Crypt, The Mummy. Bookmark the permalink.